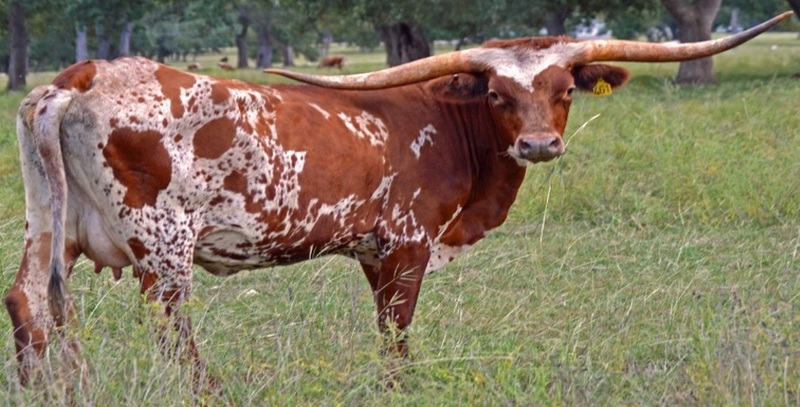 Registered Texas Longhorns for sale at Struthoff Ranch in Texas HIll Country. Join us for the Deep In The Heart Of Texas Sale! 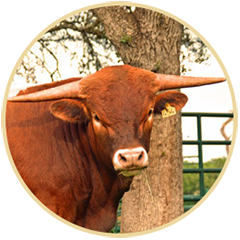 Struthoff Ranch is concentrating on breeding the highest quality registered Texas longhorn cattle. Over the years, we have bred our females to great herd sires, such as Habanero, Hollywood Chex, Dixie Goer, JK Sterling 262, and SR Madden 552. We are currently breeding our cows to 4 of our bulls. Our senior herd sire Rio 007 measures 84 5/8" TTT. Rio 007 is a JP Rio Grande son, both his sire and dam being over 80"TTT. SR Clout 466 is one of our junior herd sires who weighs 1865 lbs and measured 74 1/4"TTT as of 03/08/2018. SR Clout 466 is sired by Bowie Texa 280 - dam is Sunny's Dream Girl 372/0. 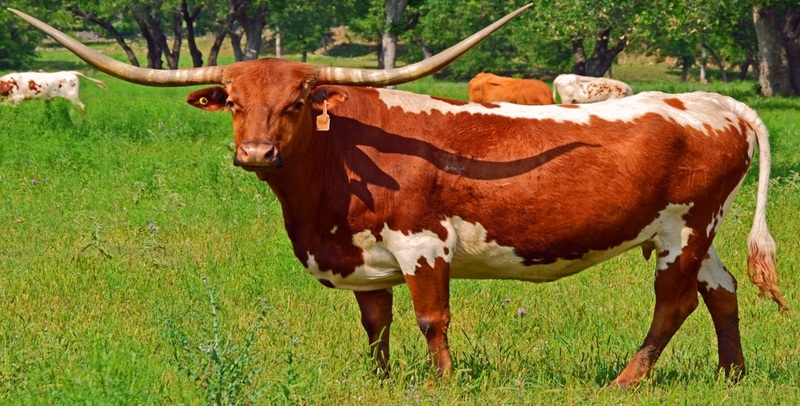 SR Proficient 445 measured 72 1/2"TTT sired by Bowie Texa 280 - dam is SR Habanero's Felena 029 and our 2017 TLBAA Horn Showcase Superior Award Winner & 2016 TLBAA Horn Showcase TTT Bronze winner SR Michelob 508. SR Michelob 508 measured 77 5/8"TTT as of 3/15/2018 with a hip height of 58 1/2" weighs 1686 lbs dob 5/15/2018. He was sired by our 2450 lb. bull SR Madden 552 a son of Boomerang CP, dam is our 83.5/8"TTT Cahill. 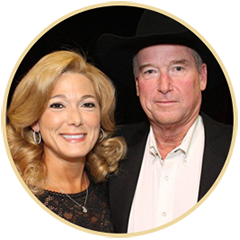 The Struthoff Ranch also farms approximately 1,060 acres of fertilized and irrigated horse quality Coastal Bermuda hay at our Wilson County Ranch and has hay for sale at all times at our two Strutty's Feed and Pet Supply locations. We also run 150 head of Brangus cow calf pairs on our Wilson County Ranch. We also enjoy collecting antique John Deere tractors. 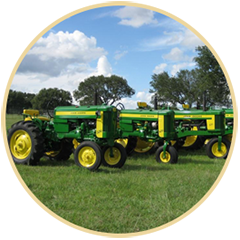 We collect mainly two-cylinder tractors, as well as participate in pulling tractors competitively. We have several antique tractors for sale.